In his Summer Budget last July, George Osborne announced new restrictions on tax relief for buy-to-let investors that will make it much harder for those in low-rental yield areas to turn a profit. Wear and Tear Allowance – The first change to come into affect is the abolition of the Wear and Tear Allowance from April 2016. Currently all landlords letting out furnished properties are able to deduct a flat 10% of their rental income whether they spent anything on upkeep of the property or not. 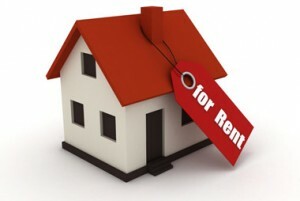 However, now landlords will only be able to deduct expenses actually incurred. Tax Year 2017/18 – 75% of mortgage interest will be deductible against rental income with the remaining 25% being available as a basic rate tax reduction. Tax Year 2018/19 – 50% deductible and 50% given as a basic rate tax reduction. Tax Year 2019/20 – 25% deductible and 75% given as a basic rate tax reduction. Tax Year 2020/21 – all mortgage interest will be given as a basic rate tax reduction. Higher and Additional Rate taxpayers – If you’re a higher rate taxpayer, you will see your tax relief halved by 2020, and additional rate taxpayers stand to lose even more. Basic rate taxpayers could be pushed into the higher rate tax band but will only receive tax relief at the basic rate. The same could be true of higher rate taxpayers being pushing into the additional rate band. If these changes push your taxable earnings above £50,000 you will no longer be able to claim Child Benefit. Finally, if your taxable earnings go above £100,000 you will start to lose your personal allowance. Find efficiencies in your tax structure – If you’re a higher rate taxpayer and your spouse is currently not working, you could transfer the rental income to them. This would utilise their tax-free personal allowance and reduce your tax. Consider deleveraging your portfolio – If you own more than one buy-to-let property, it could make financial sense to sell one in order to reduce your borrowing on the others. Incorporate – If you buy a buy-to-let property through a company, all of your interest costs will be deductible against your rental income for tax purposes. This would bring the situation in line with how it is now. George Osborne has indicated that Corporation Tax will begin falling from 2017 but this is yet to be finalised. Finally, if you are a higher rate taxpayer, buying the property through a company would also reduce the capital gains tax charge when you come to sell the property. However, tax (both stamp duty and capital gains tax) can be incurred when you transfer a property from your ownership into a company so this structure could be more beneficial for properties you buy in the future rather than ones you already own. Also, any profits from rental income or capital gain will also be taxed as dividends when you extract them from the company. Please share your thoughts and feedback in the comments below. Contact us for more specific advice on your own situation.